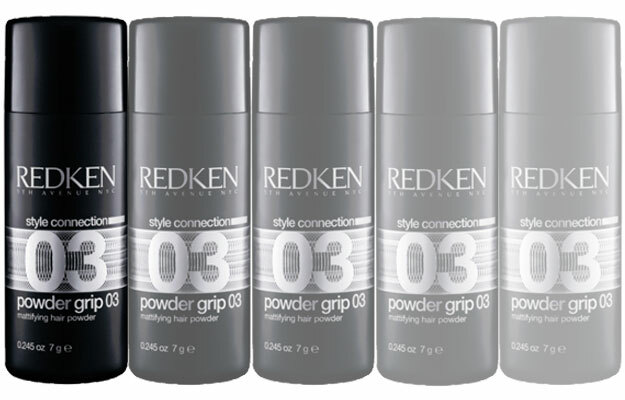 Redken has introduced its latest styling Star with Powder Grip 03, a mattifying, volumizing powder.This innovative styling product is sure to be in every noteworthy stylists set bag. Why? Its featherweight texture, and ease of use makes it the go-to product for creating tousled texture that appears product-free. I road tested it at a photo shoot recently, on my lovely model Sandrine Marlier, who made for the perfect candidate as she has a ton of hair yet its fine, silky texture can make creating extensive volume difficult. This amazing powder not only defined her layers but added scads of gravity-defying volume that lasted the entire shoot. There was absolutely no product build-up or stickiness, just fresh voluminous locks, all day long. I love the matte texture, which gave the hair a modern twist. Brand ambassador, Rodney Cutler says he doesn’t have to use hairspray in conjunction with this powder as he normally would with a spray-in volumizer, so I tested that out as well. My result: Not a single spritz was needed for gorgeous off-the-chart volume. Powder Grip 03 has a added bonus: it makes up-do’s a snap, as the matte texture gives the hair “grip” for pinning, which means the hair stays put without much effort. This product goes a long way, so easy does it on the application but I swear once you try it, you’ll never go back to any traditional “body-building hair products” again.